Underneath that giant Chewbacca suit is a 7 foot tall blonde hair, blue eyed boy named Joonas Suotamo. His story is one of my favorite because he doesn’t have the traditional background of an actor. 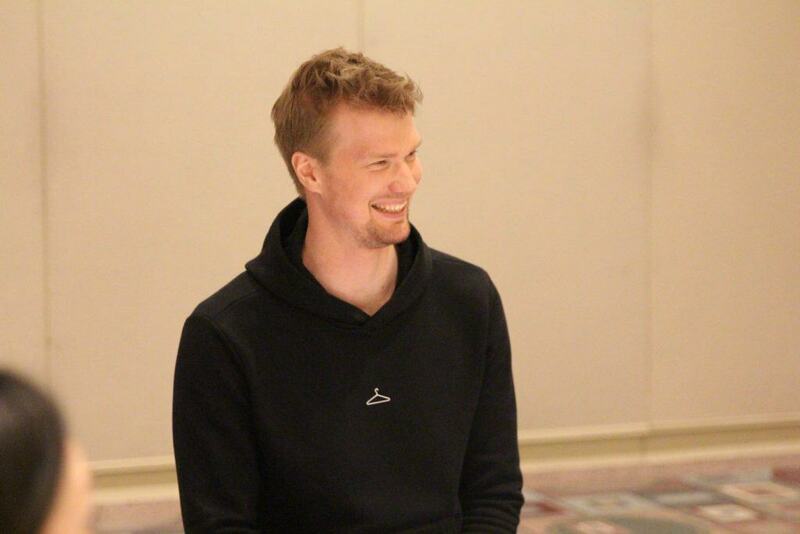 Joonas is a professional basketball player. A few years back, he was playing for the Finnish Basketball association and his coach was approached by Star Wars executives and they were looking for someone who was 7 feet tall and had blue eyes for a part in a movie. Joonas fit the part and decided that he wanted to audition for the part as Chewie. His audition video included him as a caveman to show how he could move and act. Solo: A Star Wars Story is his third film as Chewbacca. He feels that being a professional basketball player “gifted him with body awareness” and that he was born to play this role! When Joonas Suotamo first heard that he was going to have the opportunity to meet Harrison Ford, he spent the entire next 24 hours practicing Wookie. He felt if he was playing Chewbacca and meeting Harrison Ford, he better be able to speak Wookie! Joonas greeted us in Wookie when he first came into the room and sounded just like Chewbacca! The role of Chewbacca was very important to Joonas and he really respected the legacy of Chewbacca. He knew that fans wanted to see the same Chewbacca that they already loved. Before his first movie, Joonas did a “Wookie Bootcamp” with the original Chewbacca, Peter Mayhew. This bootcamp was a week long and he was able to learn why Peter did things the way he did and how de did what he did. Peter and Angie Mayhew both gave Joonas their blessing to play Chewbacca. He was grateful for their blessing and recognized that it must be hard to be replaced. 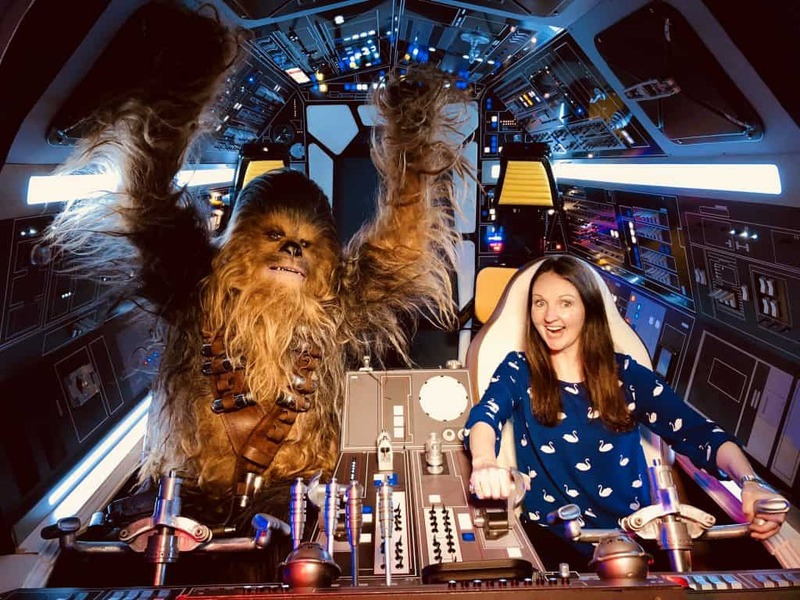 There are many challenges involved in filming the Chewbacca character. The main obstacle for Joonas was overheating in the Wookie Suit. The suit is very large and they had to always be aware of how his suit would look on camera. 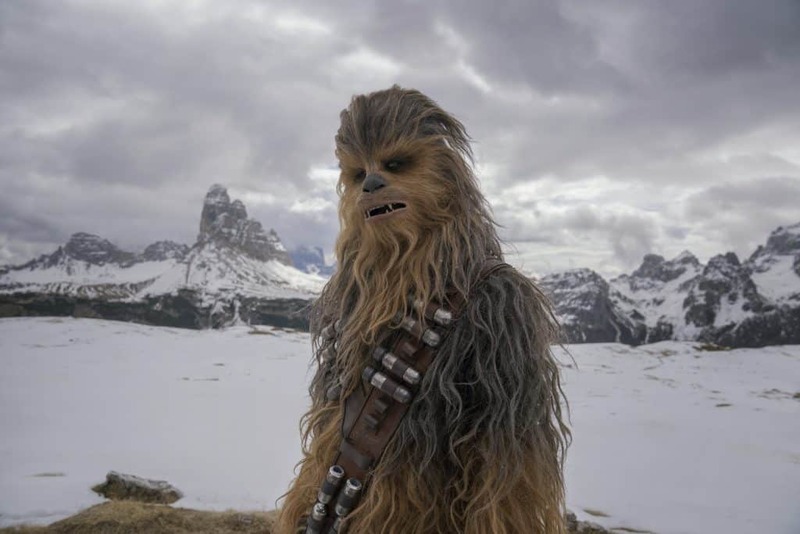 He also talked a lot about the challenges of keeping the fur from his wookie suit out of his mouth and eyes and the costume designers would have to come in with tweezers to help him get the hairs out. In talking about the character of Chewbacca in Solo: A Star Wars Story, Joonas explains him as looking for a way out. That he walks around with worry on his shoulders and no structure in his life. 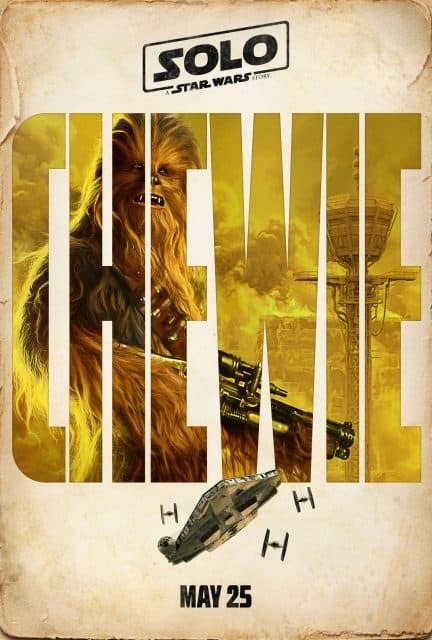 This movie is truly the arc of the friendship of Chewie and Han and learning to trust. It was important to Joonas to get this friendship between Chewbacca and Han Solo right because it is such an important part of the movie. It only makes sense to throw in this photo during an interview with Chewbacca because it is really my favorite. One thing you will notice about Chewbacca is that he often carried a bag. We asked him what was in the bag. He said that the bag is often empty, but sometimes he would keep candy in it. The days when their were kids on set he would give them chocolate so they would feel more comfortable meeting Chewbacca. 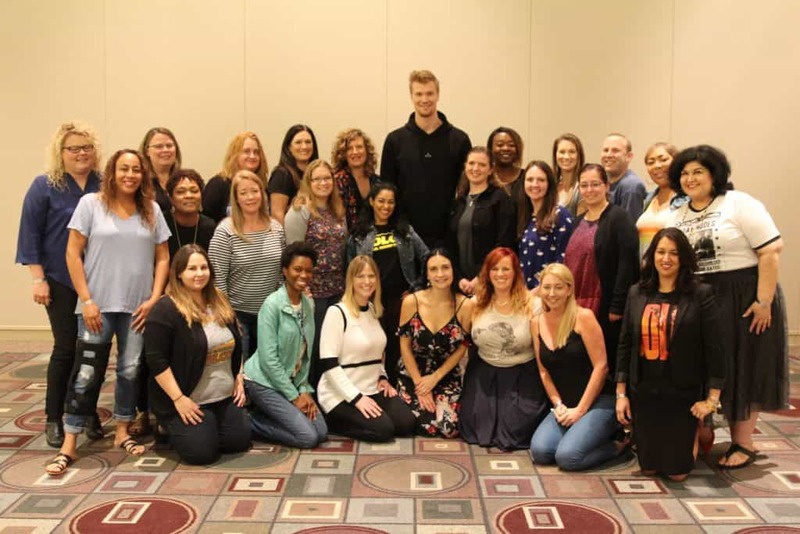 Joonas Suotamo was so kind to take a group photo with us. I think it is so much fun that he was standing in the photo so we can see how tall he is next to most of us! 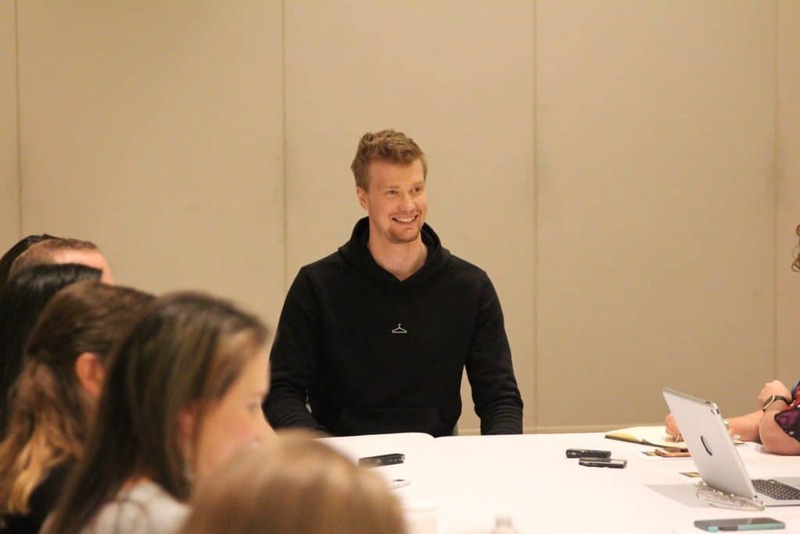 Joonas was very kind and fun to interview. As you can read in my interviews, the other Solo: A Star Wars Story actors loved getting to work with Joonas and talk very highly of him. 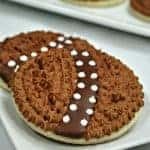 What better way to celebrate Solo: A Star Wars Story and Young Chewie with these adorable Chewbacca Cookies!! 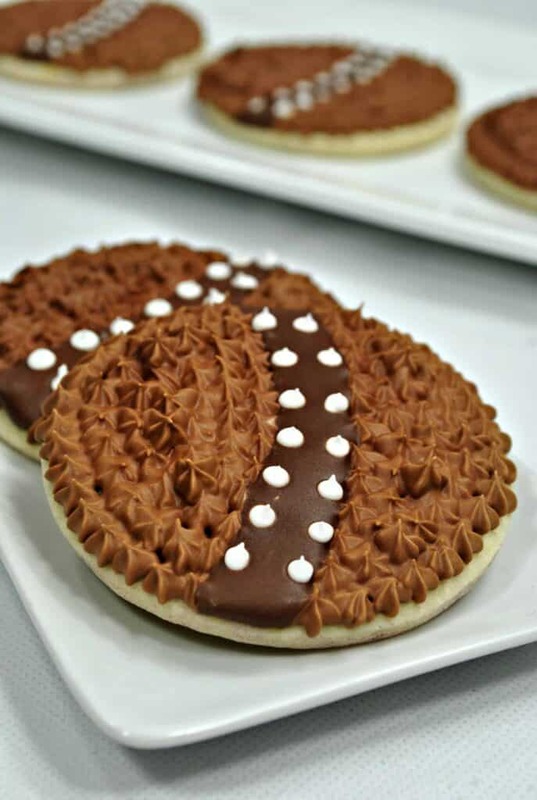 You can print the recipe below!